CANFire's public seminars are partially supported by funding from the NRA Foundation. Copyright © 2016 CANFire.org, All rights reserved. CANFire is Illinois registered non-profit organization. 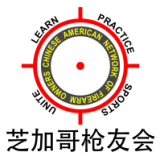 All images, logo, banner are property of CANFire, and should not be used by any individual or organization except Chinese-American Network of Firearm Owners.